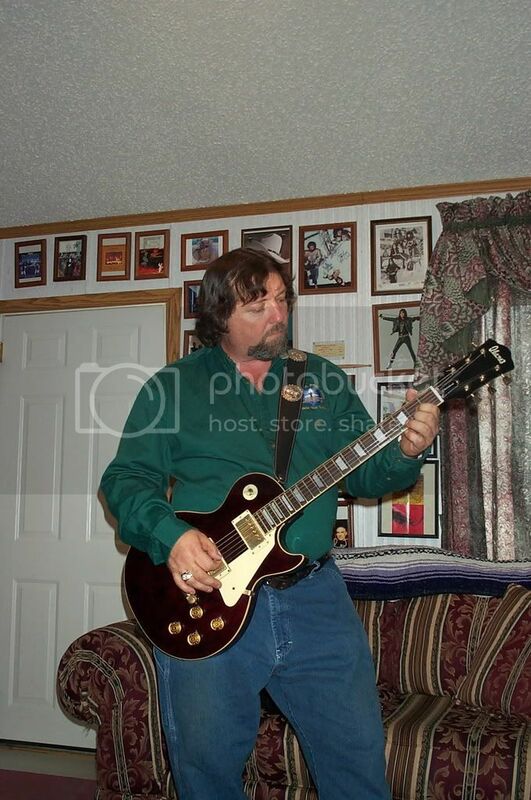 Good ole trusty Gibson Les Paul standard. 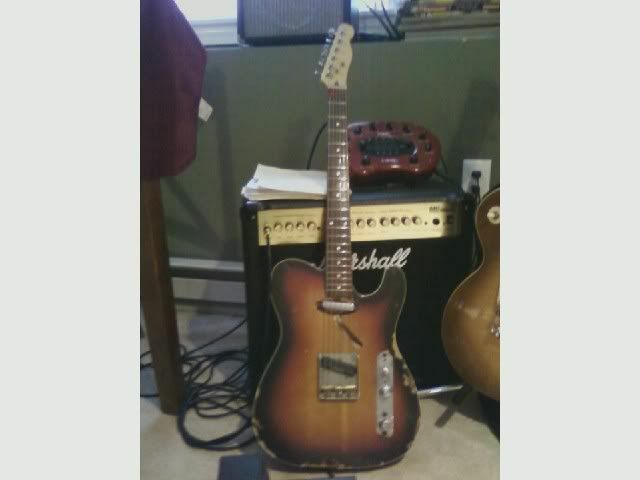 It's a 2006 standard with a 50's neck. Boy do I love that fat neck! Pick your poison! Bottom from left to right, Gibson Les Paul Custom, Gibson Les Paul Classic, 1995 Gibson JPP Les Paul, 2009 Gibson JPP Black Beauty, Gibson JPP EDS-1275. REAR, Fender 6 string acoustic, Danelectro DC-59, Fender 12 string acoustic. 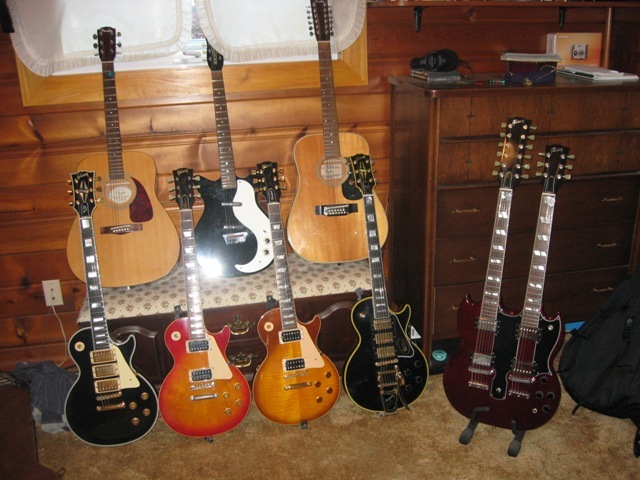 About 4 or 5 classicals, my main one being a replica Rodriguez Concert Guitar, and a Vintage Les Paul in Cherry Sunburst, although I'm slowly saving up for a Gibson, probably with Honey Sunburst. Oh nice, have you ever heard the following album? It is incredible. Check this guy out, the only Canadian to win the GFA and I got taught in a master class by this guy last October. I have a Ramundo Classical its decent its made in Spain. I've found the best Classical guitars though are made w/ local woods to a specific area, and I hope to eventually get a guitar custom made. I've Got 2 Main Electric Guitars. A Gibson Cherry Sunburst Les Paul Custom with 3 Pickups. I Love um' both, My Acoustics are pretty basic. Both are Fender. Thanks. I am very excited to have it. 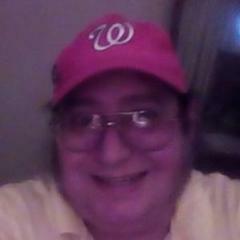 Nice guitar Silvermedalist, I'm not big on Taylor's but if you like it thats all that matter's. Here the last video I made with the now unplayable Epiphone FT-120 I have. 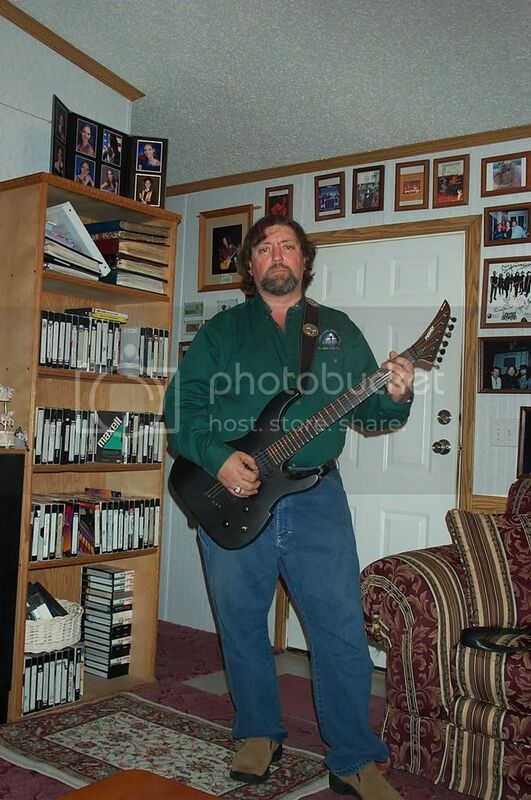 I've got an Ibanez SA 240 too but it's in storage right now. For acoustic I have never played a better guitar. 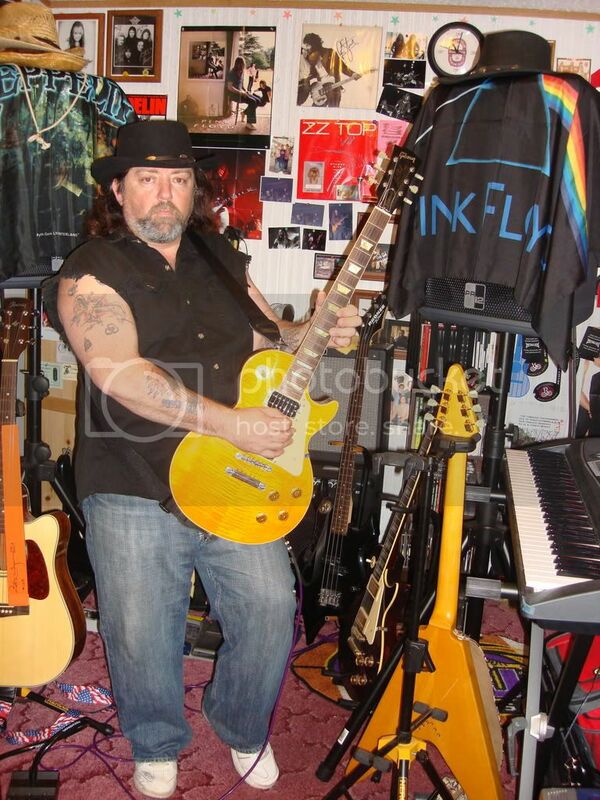 I had an Ovation, have played Martin's, Gibson's, Guild, and pretty much all the rest. To me Taylor is the best acoustic. Electirc, no doubt the Les Paul easily. I was torn between the two. Guitar Center wanted $1700 for the one I bought at the house. Retails over two grand. 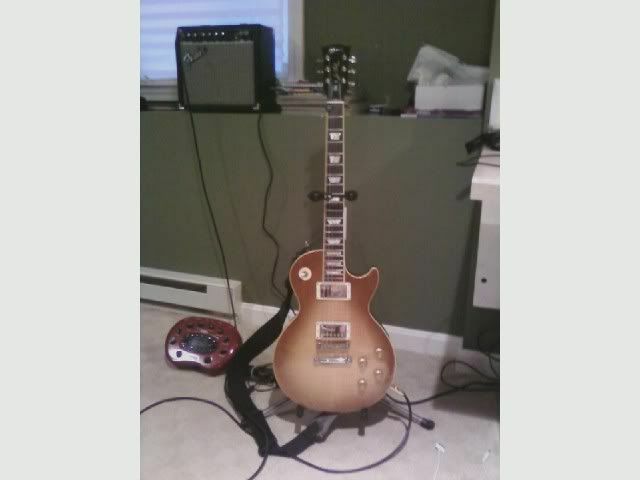 So I could have gotten a standard Les Paul for another three hundred at the house. But I just love this Taylor. It plays like a dream. The action is perfect. Its a grand auditorium. C314 ce. Pearl inlays. I dont need the diamond inlays for Gods sake. This is one fine guitar!! This is my first ever guitar. I just got it today & I was pretty happy! My next guitar purchase will be the Danelectro. I have always liked that guitar. 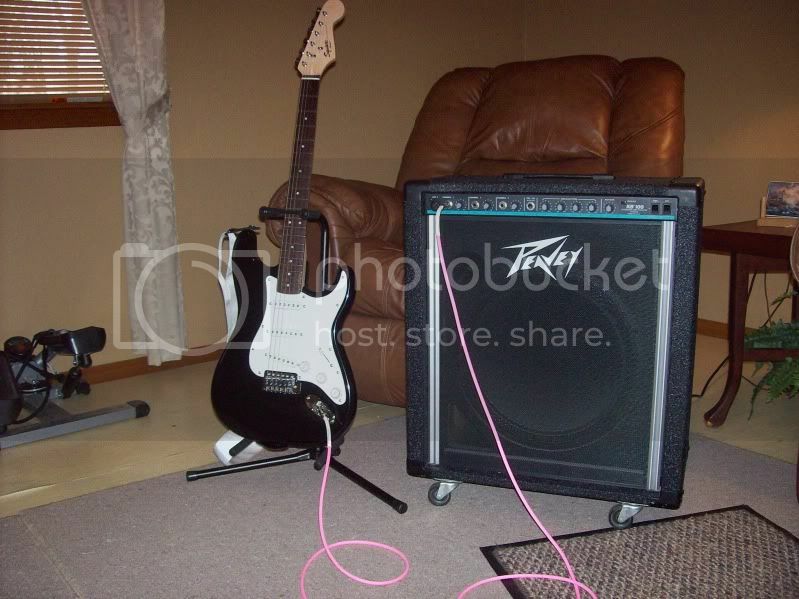 Everyone should play through a Peavey so they can look forward to having a better amp. Enjoy! I once had a Peavey. First amp I owned. For electric I would say Marshall is the best. But does Peavey make an acoustic amp? Any good?